This is the third discussion of a several part series leading from the genome, to protein synthesis (1), posttranslational modification of proteins (2), examples of protein effects on metabolism and signaling pathways (3), and leading to disruption of signaling pathways in disease (4), and effects leading to mutagenesis. This discussion is the beginning of a diversion away from the routine discussion of a specific sequence and pairing of nucleotides in the classic model, to explore the interaction between proteins, or folded proteins and RNA or hidtones that reside in the nucleus and contribute to induction or inactivation of gene expression. The basic text document is rigid, inflexible, and resides in all cells. Yet, in bacteria, yeast, and eukaryotic cells, there are models of gene expression, and in eukaryotes, there is the development of expressed organ systems. These systems have similar proteins or enzymes that are functionally identical, but they have isoforms that bind with proteins, membranes, lipopolysaccharides, and lipoproteins – which has an impact on the catabolic and anabolic activity of the cells, and they are affected by oxidative stress, and they are often dependent on the energy of binding with metal ions,i.e., Mn, Cu, Cd, Zn,..,Fe, and in other cases anionic ligands, such as I, and they may transiently act through a nucleotide or influenced by a hormone. 1. Scientists discover a broad spectrum of alternatively spliced human protein variants within a well-studied family of genes. 6. P181 cAMP-mediated Rac1 activation regulates the re-establishment of endothelial adherens junctions and barrier restoration during inflammation. W.S. 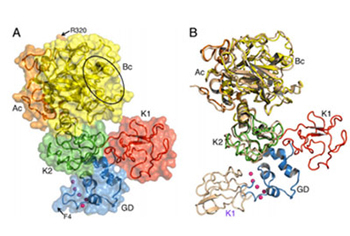 Lo et al., “Human tRNA synthetase catalytic nulls with diverse functions,” Science, http://dx.doi.org 10.1126/science.1252943, 2014. Thyroid hormone is an essential regulator of human growth, brain maturation, and adult cognition and metabolism. Thyroid hormones are key for brain development and synaptic maturation, and researchers have identified a specific molecular mechanism for rapid lipid kinase activation by the thyroid hormone receptor beta (TR-beta) that involves a cytoplasmic complex of the gene. Many effects of the thyroid hormone on mammalian cells in vitro have been shown to be mediated by the phosphatidylinositol 3-kinase (PI3K), but the molecular mechanism of PI3K regulation and its relevance to brain development have not been clear, according to David L. Armstrong, PhD, of the National Institute of Environmental Health and Development in Research Triangle, N.C., and colleagues. 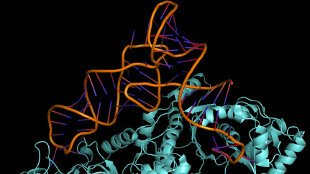 They identified a specific molecular mechanism for rapid PI3 kinase activation by TR-beta which involves a cytoplasmic complex of TR-beta, the p85 regulatory subunit of PI3 kinase and the Src family kinase, Lyn, they wrote in Endocrinology.Armstrong’s co-authors are from Duke University and Loyola University in Chicago. This complex provides a unique mechanism for integrating growth signals through thyroid hormone and receptor tyrosine kinases, they explained. 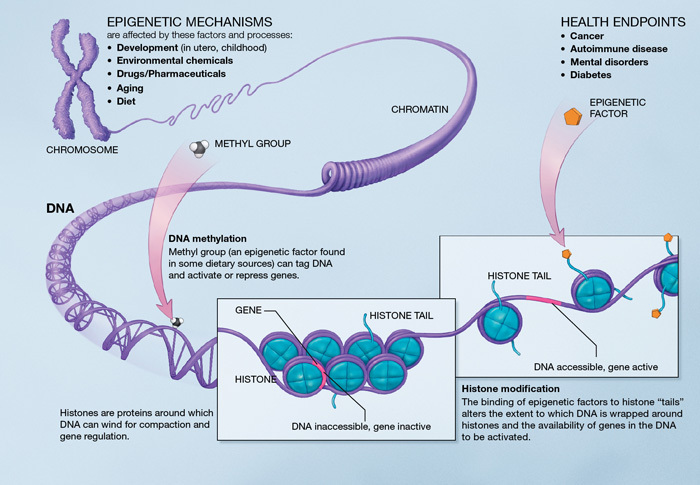 The recognition that many hormones regulate gene expression through receptor proteins that bind to DNA is a major biological discovery over the past 50 years, the researchers noted. The thyroid hormone T3 has been shown to be a regulator of many physiological effects, including human growth, brain maturation, and adult cognition and metabolism. Many of these effects have been found to be mediated through the regulation of gene expression by zinc-finger nuclear receptor proteins that are encoded by the THRA and THRB genes. But many in vitro effects of T3 are too rapid to be explained by transcriptional regulation, Armstrong and colleagues noted. In earlier work, they identified PI3 kinase as a key player in these rapid effects. Like thyroid hormone, PI3 kinase activity has been identified as essential for growth, metabolism, and brain development. PI3 kinase is regulated primarily by receptor tyrosine kinases, and an integrin receptor has been identified that mediates some of the PI3 kinase-dependent effects of thyroxine (T4), the widely circulated precursor of T3. Both TR-alpha and TR-beta have also been reported to associate with PI3 kinase and stimulate its activity in many cell types. In a 2006 study in the Proceedings of the National Academy of Sciences, Armstrong and colleagues demonstrated that TRis required to reconstitute T3 and PI3 kinase-dependent regulation of Kv11.1 channels in cell-free membrane patches from Chinese hamster ovary (CHO) cells. In the newly reported series of experiments, the researchers used fluorescent PIP3 indicator to directly measure PIP3 production in response to thyroid hormone on the same time scale as the electrophysiological measurements in the CHO cells expressing recombinant human thyroid hormone receptors. “It is only when you have both thyroid hormone and phosphotyrosine signaling that you get maximal stimulation of PI3 kinase,” Armstrong said, adding that the novel methodology of the study, which involved serum from thyroidectomized animals, led to the finding. These experiments led to in vivo research to test the physiological relevance of thyroid hormone signaling through PI3 kinase for brain development in a novel mouse line created by the researchers. “We reasoned that blocking binding of TR-beta to p85 by mutating Y171 might eliminate any dominant negative effect of the mutant, in much the same way that receptor knockdown proved much less deleterious to the organism than hormone withdrawal, presumably because many of the effects of the receptor on gene expression are mediated by binding of the unliganded receptor,” they wrote. They created a novel mouse line with a targeted mutation knocked into the THRB gene to substitute phenylalanine for tyrosine at residue 147 of TR-beta-1, which prevents Lyn binding to the mutant receptor. They confirmed that the mutation did not alter total circulating levels of thyroxine (T4) or T3 by mass spectrometry of serum samples from 4-month-old mice. The finding that thyroid hormone signaling through PI3 kinase appears to be an essential mechanism underlying normal synaptic maturation and plasticity in the postnatal mouse hippocampus is novel. The researchers noted that they could not formally exclude some more subtle effects of the mutation on the regulation of an unknown gene that plays as central a role in synaptic development as PI3K, but the added that “our results do categorically rule out a role for other thyroid hormone receptors in this particular aspect of synaptic maturation in the mouse hippocampus. “In either case, given the importance of thyroid hormone signaling for human brain development and adult metabolism, future studies will need to investigate whether PI3 kinase stimulation by thyroid hormone is also susceptible to disruption by environmental toxicants,” they wrote. Armstrong also pointed out that the tyrosine motifs in TR-beta, which were shown to be essential for signaling through PI3 kinase, are present in all mammals, but not in other species with known genome data, with the exception of the gecko and the axolotl (Mexican salamander). 3. Mammalian Target of Rapamycin Complex 1 Orchestrates Invariant NKT Cell Differentiation and Effector Function. ABSTRACT Invariant NKT (iNKT) cells play critical roles in bridging innate and adaptive immunity. The Raptor containing mTOR complex 1 (mTORC1) has been well documented to control peripheral CD4 or CD8 T cell effector or memory differentiation. However, the role of mTORC1 in iNKT cell development and function remains largely unknown. By using mice with T cell-restricted deletion of Raptor, we show that mTORC1 is selectively required for iNKT but not for conventional T cell development. Indeed, Raptor-deficient iNKT cells are mostly blocked at thymic stage 1-2, resulting in a dramatic decrease of terminal differentiation into stage 3 and severe reduction of peripheral iNKT cells. Moreover, residual iNKT cells in Raptor knockout mice are impaired in their rapid cytokine production upon αGalcer challenge. Bone marrow chimera studies demonstrate that mTORC1 controls iNKT differentiation in a cell-intrinsic manner. Collectively, our data provide the genetic evidence that iNKT cell development and effector functions are under the control of mTORC1 signaling. 1 Neuroscience Center, 2 Department of Cell Biology and Physiology, 3 UNC RNAi Screening Facility,4 Department of Pharmacology, 5 Lineberger Comprehensive Cancer Center, 6 Department of Biochemistry and Biophysics, University of North Carolina, Chapel Hill, NC 27599, USA. * Present address: Vanderbilt University, Nashville, TN 37232, USA. Present address: Cell Press, Cambridge, MA 02139, USA. Present address: Department of Anesthesiology, Columbia University Medical Center, New York, NY 10032, USA. Abstract: The ability to withstand mitochondrial damage is especially critical for the survival of postmitotic cells, such as neurons. Likewise, cancer cells can also survive mitochondrial stress. We found that cytochrome c (Cyt c), which induces apoptosis upon its release from damaged mitochondria, is targeted for proteasome-mediated degradation in mouse neurons, cardiomyocytes, and myotubes and in human glioma and neuroblastoma cells, but not in proliferating human fibroblasts. In mouse neurons, apoptotic protease-activating factor 1 (Apaf-1) prevented the proteasome-dependent degradation of Cyt c in response to induced mitochondrial stress. An RNA interference screen in U-87 MG glioma cells identified p53-associated Parkin-like cytoplasmic protein (PARC, also known as CUL9) as an E3 ligase that targets Cyt c for degradation. The abundance of PARC positively correlated with differentiation in mouse neurons, and overexpression of PARC reduced the abundance of mitochondrially-released cytosolic Cyt c in various cancer cell lines and in mouse embryonic fibroblasts. Conversely, neurons from Parc-deficient mice had increased sensitivity to mitochondrial damage, and neuroblastoma or glioma cells in which PARC or ubiquitin was knocked down had increased abundance of mitochondrially-released cytosolic Cyt c and decreased viability in response to stress. These findings suggest that PARC-mediated ubiquitination and degradation of Cyt c is a strategy engaged by both neurons and cancer cells to prevent apoptosis during conditions of mitochondrial stress. Citation: V. Gama, V. Swahari, J. Schafer, A. J. Kole, A. Evans, Y. Huang, A. Cliffe, B. Golitz, N. Sciaky, X.-H. Pei, Y. Xiong, M. Deshmukh, The E3 ligase PARC mediates the degradation of cytosolic cytochrome c to promote survival in neurons and cancer cells. Sci. Signal. 7, ra67 (2014). Cancer Research UK Beatson Institute, Institute of Cancer Sciences, University of Glasgow, Garscube Estate, Switchback Road, Glasgow G61 1BD, UK. Abstract: Balanced amounts of apoptotic cell death are essential for health; its deregulation plays key roles in neurodegeneration, autoimmunity, and cancer. Mitochondria orchestrate apoptosis through a process called mitochondrial outer-membrane permeabilization (MOMP). After MOMP, mitochondrial cytochrome c is released into the cytoplasm, where it binds the adaptor molecule APAF1, triggering caspase protease activation and cell death. In this issue of Science Signaling, Deshmukh and colleagues define a new survival mechanism downstream of mitochondrial permeabilization. Specifically, they identify proteasomal degradation of cytochrome c as a major determinant of cell survival. In an unbiased approach, PARC (also known as CUL9) was found to be the ubiquitin ligase responsible for the ubiquitination and proteasomal degradation of cytochrome c. The consequences of this survival process may be double-edged because both cancer cells and postmitotic cells use PARC/CUL9–mediated cytochrome c degradation to ensure cell survival. Ultimately, differential targeting of this process may promote survival of postmitotic tissue or enhance tumor-specific killing. Citation: J. Lopez, S. W. G. Tait, Killing the Killer: PARC/CUL9 Promotes Cell Survival by Destroying Cytochrome c. Sci. Signal. 7, pe17 (2014). 1 MRC Protein Phosphorylation and Ubiquitylation Unit, College of Life Sciences, University of Dundee, Dundee DD1 5EH, Scotland. 2 Department of Neurosurgery, Massachusetts General Hospital, and Harvard Medical School, 3 Manton Center for Orphan Disease Research, Boston Children’s Hospital, Boston, MA 02115, USA. Abstract: The WNK-SPAK/OSR1 kinase complex is composed of the kinases WNK (with no lysine) and SPAK (SPS1-related proline/alanine-rich kinase) or the SPAK homolog OSR1 (oxidative stress–responsive kinase 1). The WNK family senses changes in intracellular Cl– concentration, extracellular osmolarity, and cell volume and transduces this information to sodium (Na+), potassium (K+), and chloride (Cl–) cotransporters [collectively referred to as CCCs (cation-chloride cotransporters)] and ion channels to maintain cellular and organismal homeostasis and affect cellular morphology and behavior. Several genes encoding proteins in this pathway are mutated in human disease, and the cotransporters are targets of commonly used drugs. WNKs stimulate the kinases SPAK and OSR1, which directly phosphorylate and stimulate Cl–-importing, Na+-driven CCCs or inhibit the Cl–-extruding, K+-driven CCCs. These coordinated and reciprocal actions on the CCCs are triggered by an interaction between RFXV/I motifs within the WNKs and CCCs and a conserved carboxyl-terminal docking domain in SPAK and OSR1. This interaction site represents a potentially druggable node that could be more effective than targeting the cotransporters directly. In the kidney, WNK-SPAK/OSR1 inhibition decreases epithelial NaCl reabsorption and K+ secretion to lower blood pressure while maintaining serum K+. In neurons, WNK-SPAK/OSR1 inhibition could facilitate Cl–extrusion and promote -aminobutyric acidergic (GABAergic) inhibition. Such drugs could have efficacy as K+-sparing blood pressure–lowering agents in essential hypertension, nonaddictive analgesics in neuropathic pain, and promoters of GABAergic inhibition in diseases associated with neuronal hyperactivity, such as epilepsy, spasticity, neuropathic pain, schizophrenia, and autism. Citation: D. R. Alessi, J. Zhang, A. Khanna, T. Hochdörfer, Y. Shang, K. T. Kahle, The WNK-SPAK/OSR1 pathway: Master regulator of cation-chloride cotransporters. Sci. Signal. 7, re3 (2014). Abstract: The discovery of feedback loops between signaling and gene expression is ushering in new quantitative models of cellular regulation. In a recent issue of Science Signaling, Sung et al. showed how positive feedback downstream of nuclear factor B (NF-B) signaling enhances the capacity of macrophages to scale their antimicrobial responses to the dose of pathogen-associated molecular cues. This finding stemmed from analysis of cell-to-cell variability and computational modeling of time integration between signaling and transcriptional responses. Ultimately, such quantitative approaches challenge the oft-assumed time separation of “fast” signal transduction followed by “slow” gene expression, and they provide a better understanding of complex biological regulation over long time scales. Citation: K. E. Tkach, J. E. Oyler, G. Altan-Bonnet, Cracking the NF-B Code. Sci. Signal. 7, pe5 (2014). 1 Laboratory of Receptor Biology and Gene Expression, National Cancer Institute, 2 Laboratory of Systems Biology, National Institute of Allergy and Infectious Diseases, National Institutes of Health, Bethesda, MD 20892, USA. Abstract: A fundamental goal in biology is to gain a quantitative understanding of how appropriate cell responses are achieved amid conflicting signals that work in parallel. Through live, single-cell imaging, we monitored both the dynamics of nuclear factor B (NF-B) signaling and inflammatory cytokine transcription in macrophages exposed to the bacterial product lipopolysaccharide (LPS). Our analysis revealed a previously uncharacterized positive feedback loop involving induction of the expression of Rela, which encodes the RelA (p65) NF-B subunit. This positive feedback loop rewired the regulatory network when cells were exposed to LPS above a distinct concentration. Paradoxically, this rewiring of NF-B signaling in macrophages (a myeloid cell type) required the transcription factor Ikaros, which promotes the development of lymphoid cells. Mathematical modeling and experimental validation showed that the RelA positive feedback overcame existing negative feedback loops and enabled cells to discriminate between different concentrations of LPS to mount an effective innate immune response only at higher concentrations. We suggest that this switching in the relative dominance of feedback loops (“feedback dominance switching”) may be a general mechanism in immune cells to integrate opposing feedback on a key transcriptional regulator and to set a response threshold for the host. Citation: M.-H. Sung, N. Li, Q. Lao, R. A. Gottschalk, G. L. Hager, I. D. C. Fraser, Switching of the Relative Dominance Between Feedback Mechanisms in Lipopolysaccharide-Induced NF-B Signaling. Sci. Signal. 7, ra6 (2014). Drug development in the Alzheimer’s field has been riddled with failures, and most research efforts have focused on pinpointing genetic and environmental factors responsible for causing or accelerating the progression of the disease. Now, researchers from Montreal’s Douglas Mental Health Institute and McGill University have identified a relatively frequent genetic variant that may provide protection against the devastating neurodegenerative disease. “We found that specific genetic variants in a gene called HMG CoA reductase which normally regulates cholesterol production and mobilization in the brain can interfere with, and delay the onset of Alzheimer’s disease by nearly four years. This is an exciting breakthrough in a field where successes have been scarce these past few years,” said Dr. Judes Poirier, whose previous research led to the discovery that a genetic variant was formally associated with the common form of Alzheimer’s disease. This variant may explain why some people who are carriers of predisposing genetic factors for the common form of Alzheimer’s do not develop the disease, living long lives without memory problems until their nineties. Cardiovascular research 07/2014; 103(suppl 1):S32. ABSTRACT Inflammatory mediators like thrombin and TNFα disrupt endothelial junctions and barrier integrity, leading to edema formation. This increase in endothelial permeability is followed by slow restoration of the endothelial barrier, which is critical for the maintenance of basal endothelial permeability. However, the molecular mechanism of recovery of the endothelial barrier in response to inflammatory mediators has not yet been well delineated. The aim of the present study was to explore the mechanism of this barrier restoration. Specific emphasis was given to the role of Rac1 GTPase activation, which is an important regulator of endothelial adherens junction (AJ) integrity. Eric S. Fischer, Kerstin Böhm, John R. Lydeard, Haidi Yang, Michael B. Stadler, et al. In the 1950s, the drug thalidomide, administered as a sedative to pregnant women, led to the birth of thousands of children with multiple defects. Despite the teratogenicity of thalidomide and its derivatives lenalidomide and pomalidomide, these immunomodulatory drugs (IMiDs) recently emerged as effective treatments for multiple myeloma and 5q-deletion-associated dysplasia. IMiDs target the E3 ubiquitin ligase CUL4–RBX1–DDB1–CRBN (known as CRL4CRBN) and promote the ubiquitination of the IKAROS family transcription factors IKZF1 and IKZF3 by CRL4CRBN. Here we present crystal structures of the DDB1–CRBN complex bound to thalidomide, lenalidomide and pomalidomide. The structure establishes that CRBN is a substrate receptor within CRL4CRBN and enantioselectively binds IMiDs. Using an unbiased screen, we identified the homeobox transcription factor MEIS2 as an endogenous substrate of CRL4CRBN. Our studies suggest that IMiDs block endogenous substrates (MEIS2) from binding to CRL4CRBN while the ligase complex is recruiting IKZF1 or IKZF3 for degradation. This dual activity implies that small molecules can modulate an E3 ubiquitin ligase and thereby upregulate or downregulate the ubiquitination of proteins. Figure 1: The overall structure of the DDB1–CRBN complex. Figure 2: IMiD binding to CRBN. Figure 3: CRBN is a substrate receptor in the ligase CRL4CRBN. Figure 5: Molecular model of IMiD function. Irina A. Buhimschi1,2,*, Unzila A. Nayeri2, Guomao Zhao1, Lydia L. Shook2, Anna Pensalfini3, et al. 5Depart of ObGyn and Reproductive Sciences, University of Vermont College of Medicine, Burlington, VT .
6Department of Molecular Biology and Biochemistry, University of California, Irvine, Irvine, CA 92617, USA. 7Department of Biochemistry and Experimental Biochemistry Unit, King Abdulaziz Univ, Jeddah , Saudi Arabia. Preeclampsia is a pregnancy-specific disorder of unknown etiology and a leading contributor to maternal and perinatal morbidity and mortality worldwide. Because there is no cure other than delivery, preeclampsia is the leading cause of iatrogenic preterm birth. We show that preeclampsia shares pathophysiologic features with recognized protein misfolding disorders. These features include urine congophilia (affinity for the amyloidophilic dye Congo red), affinity for conformational state–dependent antibodies, and dysregulation of prototype proteolytic enzymes involved in amyloid precursor protein (APP) processing. Assessment of global protein misfolding load in pregnancy based on urine congophilia (Congo red dot test) carries diagnostic and prognostic potential for preeclampsia. We used conformational state–dependent antibodies to demonstrate the presence of generic supramolecular assemblies (prefibrillar oligomers and annular protofibrils), which vary in quantitative and qualitative representation with preeclampsia severity. In the first attempt to characterize the preeclampsia misfoldome, we report that the urine congophilic material includes proteoforms of ceruloplasmin, immunoglobulin free light chains, SERPINA1, albumin, interferon-inducible protein 6-16, and Alzheimer’s β-amyloid. The human placenta abundantly expresses APP along with prototype APP-processing enzymes, of which the α-secretase ADAM10, the β-secretases BACE1 and BACE2, and the γ-secretase presenilin-1 were all up-regulated in preeclampsia. The presence of β-amyloid aggregates in placentas of women with preeclampsia and fetal growth restriction further supports the notion that this condition should join the growing list of protein conformational disorders. If these aggregates play a pathophysiologic role, our findings may lead to treatment for preeclampsia. Citation: I. A. Buhimschi, U. A. Nayeri, G. Zhao, L. L. Shook, A. Pensalfini, E. F. Funai, I. M. Bernstein, C. G. Glabe, C. S. Buhimschi,Protein misfolding, congophilia, oligomerization, and defective amyloid processing in preeclampsia. Sci. Transl. Med. 6, 245ra92 (2014). Using x-ray crystallography, SLU researchers published the first image of the important blood-clotting protein prothrombin (coagulation factor II). The protein’s flexible structure is key to the development of blood-clotting.In results recently published in Proceedings of the National Academy of Sciences (PNAS), Saint Louis University scientists have discovered that removal of disordered sections of a protein’s structure reveals the molecular mechanism of a key reaction that initiates blood clotting. X-ray crystallography is one tool in scientists’ toolbox for understanding processes at the molecular level. It offers a way to obtain a “snap shot” of a protein’s structure. In this technique, scientists grow crystals of the protein they want to study, shoot x-rays at them and record data about the way the rays are scattered by crystals. Then they use computer programs to create an image of the protein based on that data. Within prothrombin there are two kringle domains (looped sections of a protein named after the Scandinavian pastry) connected by a “linker” region that intrigued the SLU investigators because of its intrinsic disorder. “We deleted this linker and crystals grew in a few days instead of months, revealing for the first time the full architecture of prothrombin,” Di Cera said. SLU researchers Nicola Pozzi, Ph.D., Zhiwei Chen, Leslie Pelc and Daniel Shropshire also are authors on the paper.